The relationship between FIFA and Louis Vuitton has dated all the way back to the 2010 World Cup, hosted in South Africa. 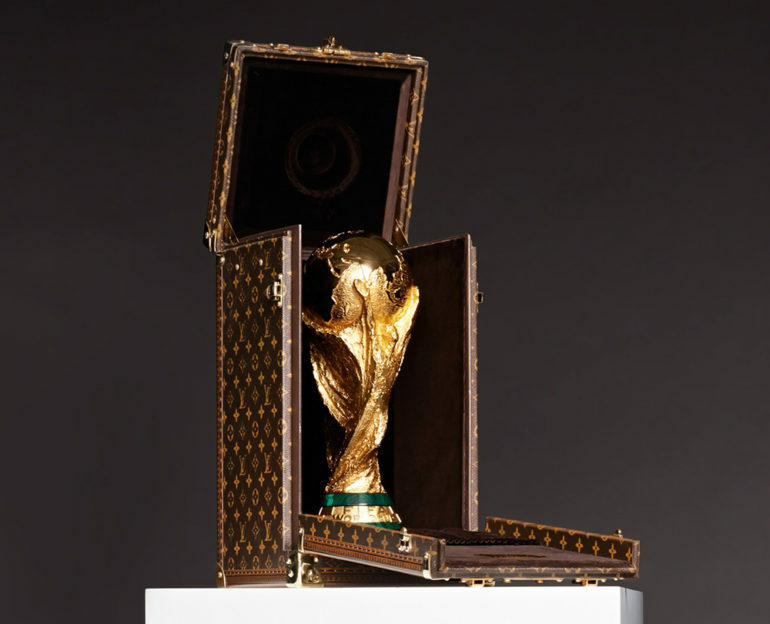 Since then, Louis Vuitton has been in charge of creating the case encasing the trophy that every country covets and competes to obtain, the FIFA World Cup Trophy. This year, the two companies not only partnered on a new and updated case but have also unveiled a collection of special-edition, luxury leather goods. The collection consists of a variety of leather goods made out of Louis Vuitton’s Epi leather. The vast majority of products are made in what Louis Vuitton calls the Apollo (backpack) and Keepall (duffel) bags with the addition of a few small leather goods. For the most part, there are three colorways of each: red, blue, and black. As you can see in the pictures, the bags and small leather goods are made to look like a traditional soccer ball style. This inspiration came from the 1970 World Cup game ball. For Louis Vuitton addicts and those who just have bands laying around, the odds of Louis Vuitton releasing another collection similar to this one is slim to none, so you might want to grab a bag or two while you still can. 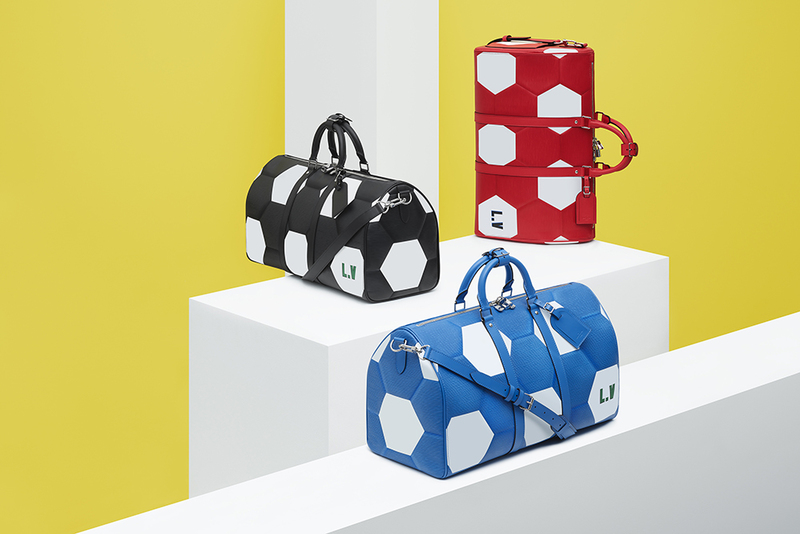 In addition to three colorways, there is also an exclusive, “Made-To-Order” Keepall bag made in a red, blue, and white in the same hexagonal pattern as the others, with white accents trimming around the rest of the duffle. A very beautiful bag, if I do say so myself. Details really do go a long way in fashion and design. 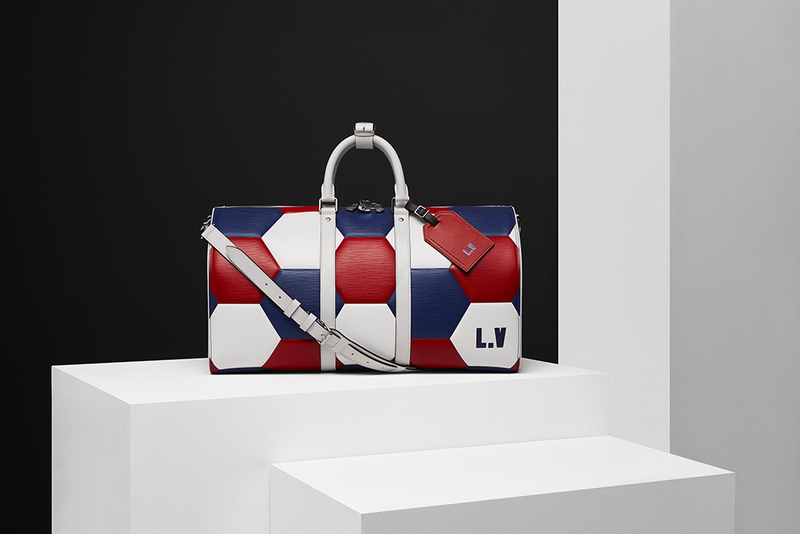 Along with the bags themselves, a luggage tag customizable to 35 different national flags comes with the purchase of any Keepall bag in the collection and is also made out of the same Epi leather that the bag is comprised of. 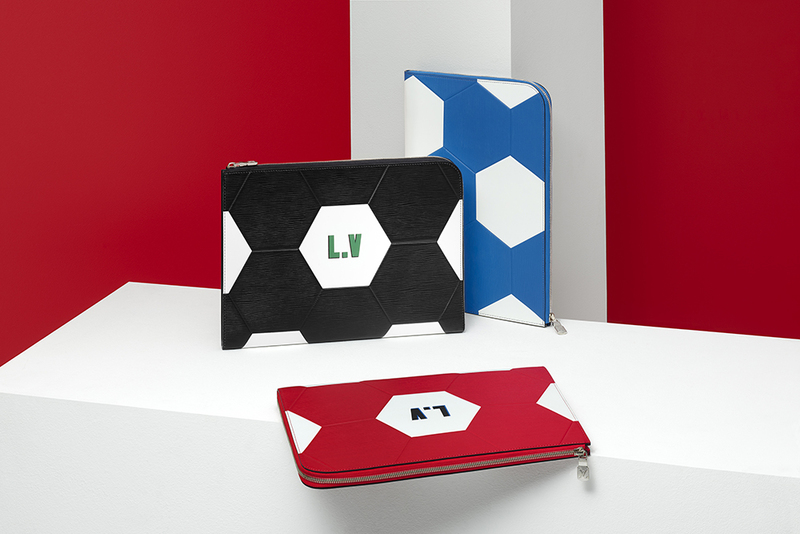 The 2018 FIFA World Cup Louis Vuitton Collection will be available for purchase from June 15 to July 15 in select Louis Vuitton stores, as well as online. j6f1ET Very nice write-up. I certainly love this website. Keep it up!